​Hello! My name is Amber Dupree . I am a first grade teacher at FBCA. I have been married to my husband, Shane Dupree, for nineteen years and we have five children. I graduated from Lamar University in Beaumont, Texas in 2000. At that time, my husband and I moved to Lake Charles. The Lord blessed us with our first child in 2002. I felt led to become a stay-at-home mother and I continued to stay at home to care for all five of our children. Although I did not work full -time, I was very involved with my children and their schools and activities, as well as with church. My youngest child entered kindergarten in 2016 at which time I began subbing at his school and at other local elementary schools. I subbed for two years and throughout that time I prayed for God's guidance on the path that I should take. I have always loved helping others learn and I knew God was calling me to teach. I just wasn't sure where God wanted me to do so. I believe God answered my prayers when FBCA called me. 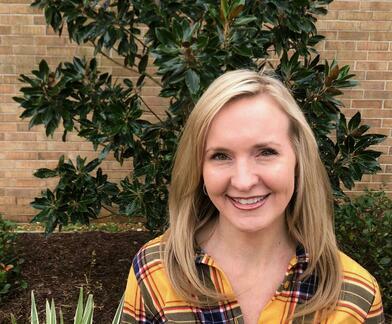 This is my first year to teach full-time and I am thrilled to be part of the team at FBCA. I am looking forward to an exciting year! -Please check your child's B.E.E. book daily for completed work and notes. Also, please initial behavior calendar daily. -Graded papers will be sent home every Tuesday. Please sign the cover sheet and return all papers to me. -Students need to be practicing their addition/subtraction facts and phonics charts daily. -Please make sure to send a snack to class everyday with your child!